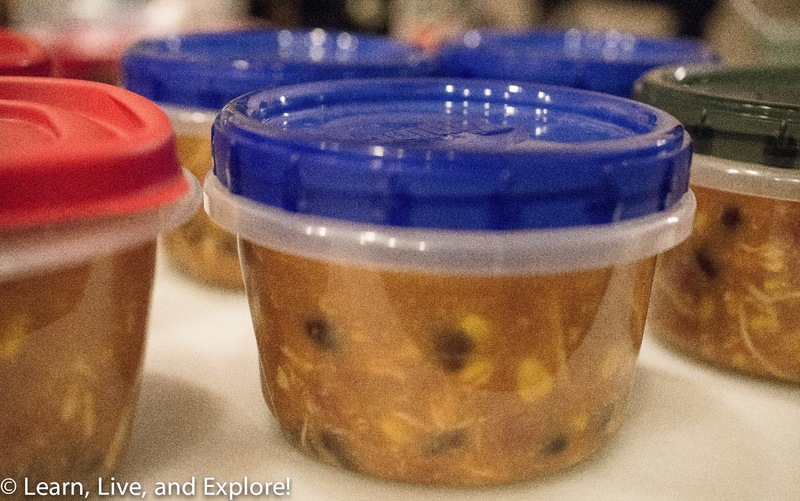 Three yummy soups for a gloomy winter day ~ Learn, Live, and Explore! There are two things about gloomy winter days. One, they make you just want to hang about and be lazy, so cooking sometimes is not a top priority; and two, when you do eat something, it's nice when it's warm and cozy. Nothing is easier than making a soup, especially in a crock pot, to satisfy that craving. Here are three of my favorite soups. 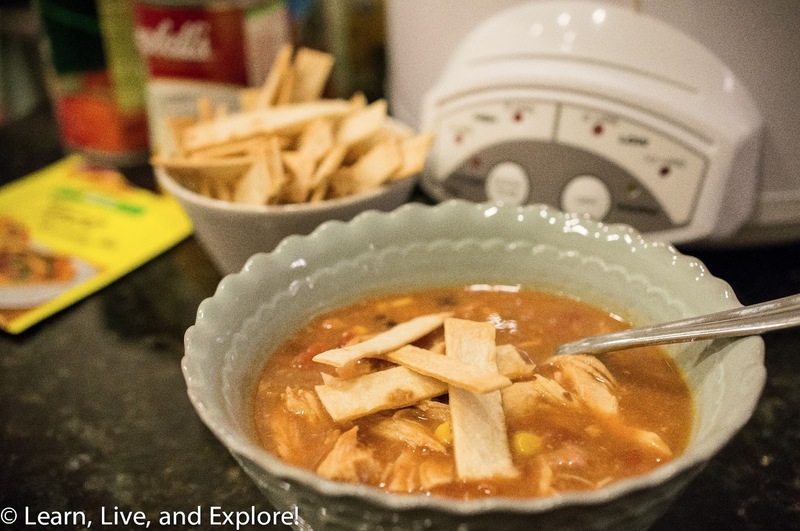 The Chicken Tortilla soup is one that is a go-to soup. It comes out delicious and the chicken is so incredibly tender, even when dropped in frozen with all the other ingredients, that it shreds very easily during the final step of the preparation. The Moroccan Red Lentil recipe is one that I searched for to replicate a soup I always get at a lunch place in Washington D.C. whenever I'm in the city for work. 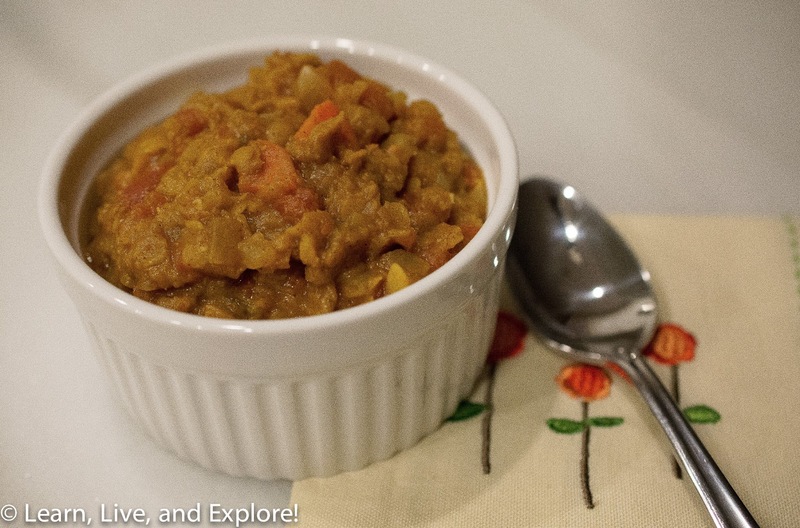 Lentils are such a nutritious food, full of iron and protein, plus this soup is typically diet/vegan/gluten-free friendly. Finally, I've been making my Roasted Cumin Butternut Squash soup for years, and it's quite popular. 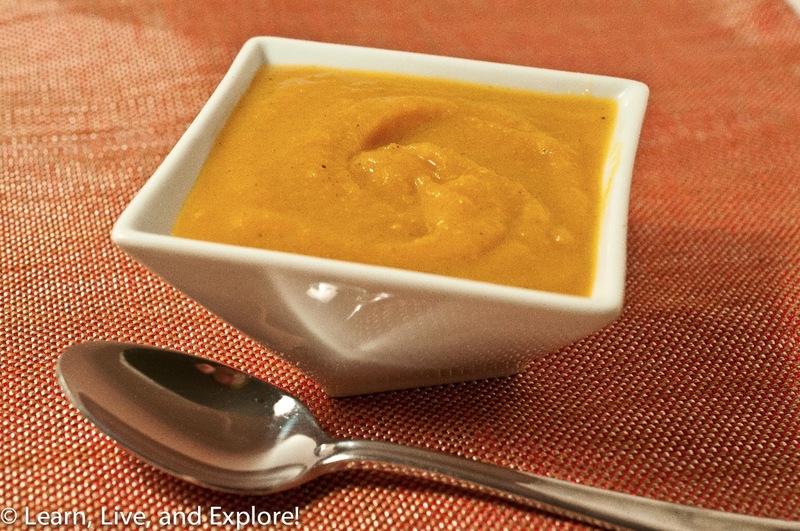 It's a great soup on its own or as a starter for a fall or winter dinner party. All of these soups are super simple to make and low mess too! In crock pot, whisk the taco seasoning packet with the water and tomato sauce. Add cream of chicken soup and milk and continue whisking until smooth. Pour drained black beans, drained corn and diced tomatoes into the crock pot and carefully drip chicken breasts into the soup. Cook on low for 7-8 hours. When done and before serving, take out chicken and shred using two forks, then combine back into the soup. Can be serve with sour cream, shredded cheddar cheese, lime, or tortilla chips. I opted to make some tortilla trips by slicing narrow strips of flour tortillas and cutting them into 2-3 inch rectangles. I sprayed them with cooking spray (Pam) and seasoned with sprinkled kosher salt. They were then baked in a 350 degree oven for 5-7 minutes, until lightly brown. This recipe makes a lot of soup! I had 6 tupperware bowls filled to the brim, and that was after taking out some soup for dinner that night. Dump all the ingredients into the crock pot and cook on low 7-8 hours. Can it get any easier? The recipe also calls for a garnish with harissa, which can be store bought or made using the recipe given. I'm not a spicy girl, so I just added a little salt to boost the flavor. OK, this is going to be the crudest recipe because I'm not really exact when I make this and I'm just pulling it out of my head right now. I know I have the original recipe somewhere, but I'm being lazy. Preheat oven to 425 degrees. Cut the butternut squash in half, lengthwise. Often it's easier to cut the bulb off first, then cut that and the long stem in half. Rub the inside of the squash with olive oil and season with kosher salt and pepper. Place face up on a baking sheet (hint: cover the sheet in foil for easier clean up). Quarter the onions and also place them on the baking sheet. Roast in the oven for 35-45 minutes until the squash is tender. Take out of the oven and let cool before trying to scoop out the squash. Prepare your blender. Place some of the cooled squash in the blender with an equal proportion of onion. Add some chicken stock (I know this is rough measuring moves right now) to start with some liquid. Keep the top pour hole in the blender lid open and start to blend the squash, onions, and stock. Continue to add stock until you see the blended liquid "whirlpool," or blend smoothly without getting stuck creating a spiraling hole in the center. At this point, add about 1/4 tsp of cumin and blend in. Add more squash, onion, and start to blend adding the chicken stock and cumin like before. At this point, you'll probably have enough to pour into a pot to heat the soup on the stove. Repeat this process until all of the ingredients have been blended and added to the stovetop pot. Add more salt, cumin, and pepper based on your seasoning preferences as you bring the soup back up to serving temperature. I love that, when blended, this soup is a beautiful yellow-orange color with flecks of brown from the onion edges. It looks really earthy and organic.